I’m honoured to be re-posting this review of The Drago Tree composed by Jasmina Brankovich, writer, activist and social critic. 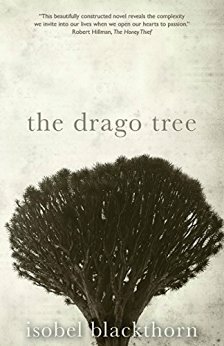 “The Drago Tree is a beautifully crafted, exquisitely written novel brimming with grief and heartiness, pain and joy. Unputdownable from the get-go. The story reminds me of AS Byatt’s classic exploration of the relationships between power and knowledge: as much as Possession is about academic rivalry and obsession, The Drago Tree is about different kind of possession. It is a story of (post) colonial possession, where the invaders continue to vie for owning traditional indigenous knowledges, and where the unique island of Lanzarote serves as a setting for what is a global process of colonial expansion. It is also a story of men’s perceived right to possess women and appropriate their talents; be they writers, such as the main protagonist, who escapes domestic violence only to find herself fighting off a fellow writer’s presumptive ownership over her, on the very island whose culture he sees as just one add-and-stir element to his authorship’s ouvre. The story has all that a good story should have: vibrant characters, a journey of a plot line, a twist at the end. The Drago Tree will take your heart. (this review first appeared on Goodreads). Dr Jasmina Brankovich’s work appears in Anarchist Affinity, Left Flank, Upswell and Green Agenda.